AFULAB welcomes it’s second international artist Akira Ishihara from Japan ! After producing for labels as Monoid, Kaufe Musik, Immigrant, Kiddaz, Reel Musiq aso. and DJing around the world he’s now landed with his first strike for AFULAB ! 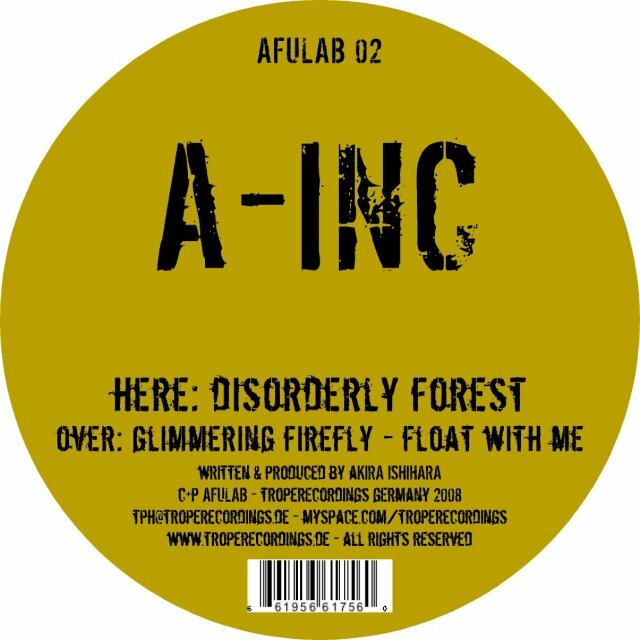 Started by DISORDERLY FOREST, these three tracks will fit perfectly into the successful line of the AFU limited artists and it’s fluffy and funky sounds will definitely be heard pretty soon on the floors and clubs around the world ! The tracks GLIMMERING FIREFLY takes you further on A-Inc’s trip and is rounded up by FLOAT WITH ME ! A nice package and a great number 02 in the already rockin’ AFULAB line !